High performance motors, particularly those that are modified, operate hotter and at higher RPMs than recreational motors, and they need good oil for peak performance. Your oil has to have the right film strength and clean burning properties for “on the edge” operation. High performance two-cycle and four-cycle motors have high compression ratios, which significantly increase combustion chamber heat and crankshaft bearing pressures. Hot combustion processes quickly burn off and evaporate light oils and cause rapid piston expansion, decreasing piston-to-cylinder wall clearances. This promotes piston scuffing and possible seizure. And increased pressure on crankshaft bearings promotes metal-to-metal contact, wear and pitting. High heat and pressures require tough oil with better film strength and more lubricity. AMSOIL Synthetic 2-Cycle and 4-Cycle Oils run cooler than any other two-cycle or four-cycle oil. What this means is less “swell” in the engine, thus freeing up the engine to produce more horsepower and less friction and wear than other oils. AMSOIL Synthetic 2-Cycle and 4-Cycle Oils reduce friction and provide an extra measure of protection against piston scuffing and crankshaft bearing wear. AMSOIL Formula 4-Stroke® PowerSports Synthetic Motor Oil is specially formulated for ATVs, UTVs, and other power sports applications. Its broad viscosity range and wax-free formulation make it excellent for use in both hot and cold temperature extremes. As an SAE 40 weight motor oil, AMSOIL AFF provides outstanding protection for hot operating engines, while its 0W rating and -60°F pour point ensure easy cranking, excellent cold weather starting and quick post-startup protection. Formula 4-Stroke® Power Sports is an extreme temperature lubricant that provides outstanding performance in high performance racing applications as well as recreational or work/utility engines. AMSOIL Formula 4-Stroke® PowerSports Oil is wet clutch compatible and contains no friction modifiers, making it ideal for both two- and four-stroke ATV transmissions. The friction modifier-free formulation is designed to prevent clutch slippage, delivering maximum torque and power to the wheels – a critical feature for towing or high-horsepower racing engines. Churning occurs in high RPM engines that can cause oil to foam, depleting its lubricating abilities and increasing heat and wear. AMSOIL AFF controls foam, promoting cooler engine operation and reduced wear. It is anti-rust fortified for superior rust prevention, which is especially important in seasonally or infrequently used power sports equipment. AMSOIL Dominator™ Synthetic 2-Cycle Racing Oil, an AMSOIL exclusive formulation, lubricates and protects high performance two-cycle motors, both on and off the track. High performance motors, particularly those that are modified, operate hotter and at higher RPMs than recreational motors: they need an optimized oil for peak performance. AMSOIL Dominator™ Synthetic 2-Cycle Racing Oil is engineered for racing. It contains a robust formulation specially engineered for unsurpassed protection and has the right film strength and clean burning properties for “on the edge” operation. AMSOIL Dominator™ Synthetic 2-Cycle Racing Oil reduces friction and protects pistons and bearings subjected to the rigors of racing, and contains the right additives for clean motor operation. JASO FC, API TC. AMSOIL INTERCEPTOR™ Synthetic High Performance 2-Cycle Oil is a specialized oil for today’s specialized engines formulated with a proprietary blend of the finest synthetic base oils and additives available today. This unique AMSOIL chemistry represents a breakthrough development in the field of two-cycle engine lubrication. The backbone of AMSOIL INTERCEPTOR™ Synthetic High Performance 2-Cycle Oil is a specially developed molecularly saturated synthetic base oil. This, combined with a “double treat” additive package, ensures exceptional lubricity, cleanliness and optimum clean-burning characteristics, and contains high levels of detergent additives to prevent valve sticking. Replaces manufacturer-branded oils. Injector use or 50:1 premix. Excellent in snowmobiles, motorcycles, PWC, ATVs and jet boats. Reserve protection for heavily loaded gears. AMSOIL Synthetic ATV/UTV Transmission & Differential Fluid is engineered to deliver upgraded performance for hard-working and performance ATVs and UTVs. Its outstanding severe-service formulation allows riders to confidently and safely push their machines to the limit, whether tackling tough chores around their property or riding aggressively on the trail. AMSOIL synthetic technology protects heavily loaded gears against wear. AMSOIL Synthetic ATV/UTV Transmission & Differential Fluid is Warranty Secure™ and will not void your ATV or UTV warranty. 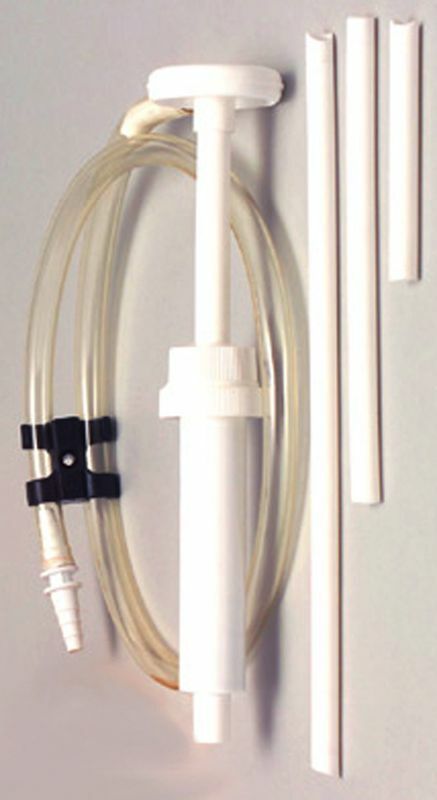 It is a cost-effective, high-performance alternative to OEM fluids. AMSOIL Synthetic ATV/UTV Front Drive Fluid is engineered to deliver upgraded performance for hard-working and performance ATVs and UTVs. Its outstanding severe-service formulation allows riders to confidently and safely push their machines to the limit, whether tackling tough chores around their property or riding aggressively on the trail. AMSOIL Synthetic ATV/UTV Front Drive Fluid offers enthusiasts a high-performance alternative to the vehicle manufacturer-branded fluid. It is purpose-built for use in Polaris hubs and centralized Hilliard clutches. AMSOIL Synthetic ATV/UTV Front Drive Fluid is Warranty Secure™ and will not void your ATV or UTV warranty. 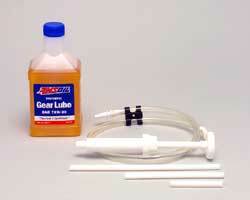 It is a cost-effective, high-performance alternative to ATV- and UTV-branded fluids.. 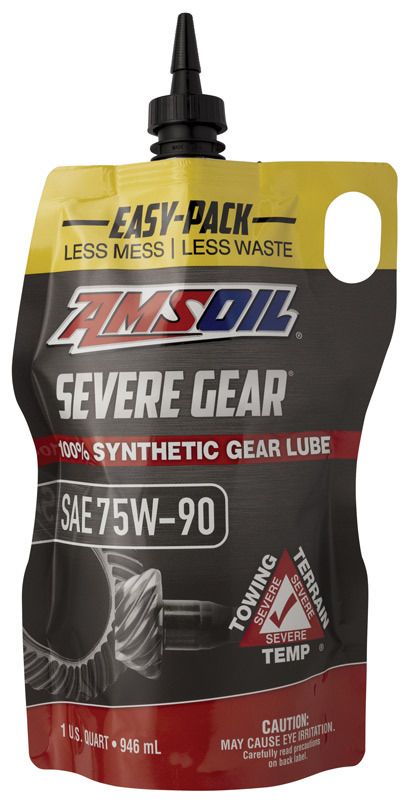 Designed specifically for chaincases and gearcases, AMSOIL Synthetic Chaincase & Gear Oil provides superior protection and performance for enclosed chains and gears found in snowmobiles, ATVs and general equipment. Formulated with extreme-pressure additives, it helps extend chain and gear life through increased wear protection. AMSOIL Synthetic Chaincase & Gear Oil repels water, while also inhibiting rust, oxidation and foam. Its low pour point ensures superior low-temperature starting, reducing drag to deliver maximum power. 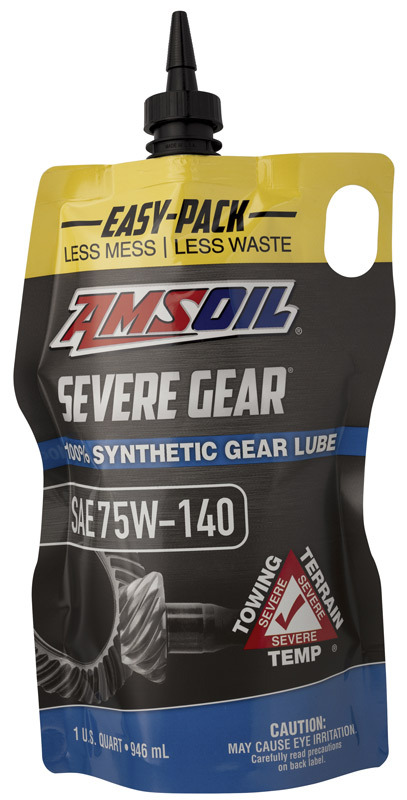 AMSOIL SEVERE GEAR® 75W-110 fills the gap between the 75W-90 and 75W-140 viscosity gear lubes. This new viscosity grade, 75W-110, offers a high temperature film protection without compromising fuel economy while addressing performance and protection. Designed to provide superior protection for elevated operating temperatures without sacrificing fuel efficiency, it is formulated for use with limited slip clutches and is ideal for turbo diesel pickup trucks, vehicles used for towing and hauling and other vehicles subject to severe service operating conditions, including heavy equipment, construction vehicles, emergency vehicles, street rods and 4×4 vehicles. Grabbing the holeshot in a race or maneuvering around obstacles on the trail requires a transmission fluid that doesn’t slip or grab. AMSOIL Synthetic Dirt Bike Transmission Fluid is specifically formulated to provide consistent clutch feel, delivering riders confidence their clutch will respond the way they want. It also guards against gear and clutch wear so enthusiasts can spend more time riding and less performing maintenance. AMSOIL INC., the premier manufacturer of synthetic motorcycle lubricants, focuses on improving lubricant performance so riders can focus on improving their performance on the trail or the track. That’s why AMSOIL is the Official Oil of Monster Energy Supercross, AMSOIL Arenacross, AMSOIL GNCC and the AMA Amateur Nationals. Motorcycle and powersports enthusiasts want their equipment to run at peak performance and deliver years of satisfaction. Many have invested thousands of dollars and untold hours into acquiring and taking care of their machines. 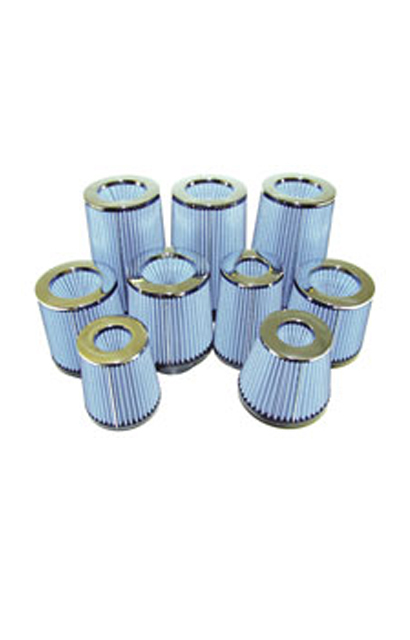 Dirt and other particles, however, can infiltrate the engine and cause wear. Over time, the engine can become less efficient, lose power and fail to deliver the “like-new” feeling enthusiasts desire when riding. AMSOIL Ea® Motorcycle Oil Filters (EaOM) incorporate the same synthetic media found in AMSOIL Ea Oil Filters (EaO/Ea15K) for auto/light-truck filters. Their excellent filtering efficiency maximizes wear protection, helping equipment run at peak efficiency and last longer. AMSOIL Ea Motorcycle Oil Filters are fluted for easy removal from the motorcycle and are available in a chrome-plated alternative to the normal black filters. 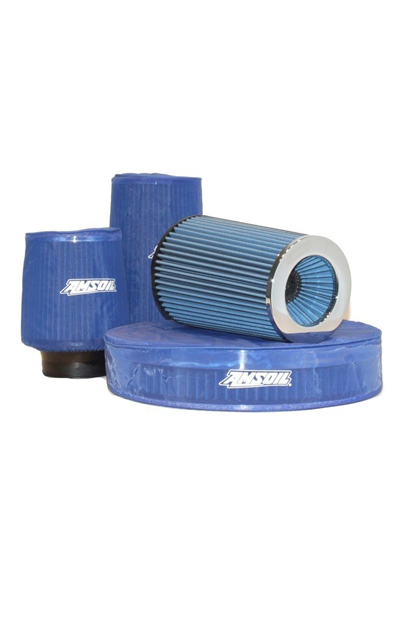 AMSOIL custom EaAR filter assemblies are designed with the racer in mind. They incorporate good looks and excellent air flow, as well as the high efficiency customers expect from Ea technology. EaAR Air Filters are specially designed for racing and street rod enthusiasts who desire Ea protection in carbureted applications. AMSOIL EaAR filter kits provide racers with more power through the new Ea air flow lids. Not only does the Ea air flow lid add filter area, it actually redirects airflow inside the filter to pull in more air through the side pleats for even greater performance efficiency. Cleanable and reusable, the AMSOIL Ea air flow lid delivers the best protection available for engines, and it comes in a wide range of applications. The air flow lids feature a polished aluminum trim ring with AMSOIL logos etched in the surface. AMSOIL Pre-filters are available to extend service intervals. Racers and off-road enthusiasts subject their vehicles to some of the most severe conditions possible. These vehicles operate in areas of heavy dirt and mud that gets slung into every crack and corner, often clogging air filters. AMSOIL Ea Pre-Filters are designed to keep larger particles from getting into and clogging the pleats of air filters. 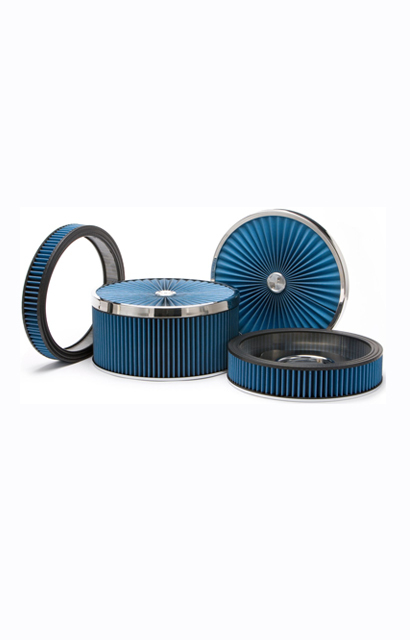 When an air filter is clogged, the engine loses horsepower and, in the case of Ea Air Filters, the filter must be cleaned. There is no vacuum or compressed air available on the race track or out in the swamp, but an Ea Pre-Filter is easily removed and shaken free of debris in seconds. Ea Pre-Filters fit over the top of existing air filters. These polyester mesh bags feature an industrial grade elastic band at the opening to ensure the pre-filter does not slide off. AMSOIL Shock Therapy Suspension Fluids are formulated with shear stable synthetic base stocks with high viscosity indices. The complete additive package reduces foaming, aeration and wear, while seal conditioners are added to keep seals soft and pliable. AMSOIL Shock Therapy Suspension Fluids are formulated to make suspension systems more predictable. The constant friction within a shock body decreases suspension performance. AMSOIL Shock Therapy Suspension Fluid contains friction modifiers to reduce the energy loss caused by friction, while antiwear agents are added to protect shocks and forks from premature wear. AMSOIL Shock Therapy Suspension Fluids are recommended for front forks and shocks on snowmobiles, motocross and cruiser motorcycles, ATVs and other racing and recreational use vehicles, as well as cars and trucks that require their suspension systems to perform in the most extreme conditions. AMSOIL Shock Therapy Synthetic Suspension Fluid is formulated for maximum stability and high performance. AMSOIL Shock Therapy Synthetic Suspension Fluids are formulated with shear stable synthetic base stocks with high viscosity indices. The complete additive package reduces foaming, aeration and wear, while seal conditioners are added to keep seals soft and pliable. The base stocks of AMSOIL Shock Therapy Synthetic Suspension Fluids have inherently high viscosity indices that effectively maintain their viscosities, while their antifoam agents reduce aeration and foam; therefore, they make suspension systems more predictable. AMSOIL Shock Therapy Synthetic Suspension Fluid contains friction modifiers to reduce the energy loss caused by friction, while antiwear agents are added to protect shocks and forks from premature wear. AMSOIL Shock Therapy Synthetic Suspension Fluids are recommended for front forks and shocks on snowmobiles, motocross and cruiser motorcycles, ATVs and other racing and recreational use vehicles, as well as cars and trucks that require their suspension systems to perform in the most extreme conditions. AMSOIL DOMINATOR Synthetic Racing Grease is especially formulated for high-speed/high-temperature performance. It is engineered to protect high-performance bearings and chassis components in racing applications operated on snow, dirt, water or track. It provides superior protection for bearings operating under high-speed, high-heat and heavy-load conditions. Yet, it excels in the protection of low-speed bearings, a job usually reserved for heavy-duty products. Components get the load bearing capacity of a heavy-duty grease without sacrificing the high-temperature protection of a multi-purpose. Because it effectively reduces friction, DOMINATOR Racing Grease not only inhibits wear, it also maximizes power through-put and fuel efficiency. Its superior friction-reduction properties help ensure race vehicles operate at peak performance. Reformulated with calcium sulfonate complex thickeners to provide even better protection and performance. The new thickener allows AMSOIL Synthetic Multi-Purpose Grease to provide improved extreme-pressure properties, corrosion resistance, oxidation resistance, high-temperature stability and water resistance at the same price as the previous formulations. AMSOIL Synthetic Multi-Purpose Grease is qualified against the highest grease standards and designed for multiple-use applications. Composed of premium-quality synthetic base oils and calcium sulfonate complex thickeners, Multi-Purpose Grease provides exceptional film strength, shear resistance, adhesion properties and mechanical stability. It excels in temperature extremes by providing excellent oxidation stability, high-temperature dropping point and low-temperature torque value and pumping capability. AMSOIL Synthetic Multi-Purpose Grease is formulated with oil soluble extreme-pressure additives for heavy loads, as well as oxidation and corrosion inhibitors. AMSOIL Synthetic Polymeric Off-Road Grease combines an over-based calcium-sulfonate complex thickener and proprietary synthetic polymeric technology to provide outstanding performance in heavy duty off-road applications. AMSOIL developed an exclusive synthetic polymeric system custom-built to provide performance benefits specific to off-road equipment. This synthetic technology helps give AMSOIL Off-Road Grease tenacious cling ability and maximum pound-out resistance over extended service intervals, even in wet environments. AMSOIL Synthetic Polymeric Off-Road Grease is heavily fortified with moly for maximum wear protection to meet Caterpillar’s requirement for pin and bushing applications. Its high Timken OK load and excellent four-ball wear and four-ball weld test results are proof of its exceptional load-bearing capacity. Field test results show that AMSOIL Synthetic Polymeric Off-Road Grease reduces grease consumption by up to 50 percent. That allows operators to either maintain their current maintenance schedule and use up to 50 percent less grease per application, or extend the length of time between re-greasings by up to 50 percent. Its superior pound-out resistance combined with extended service intervals and superior protection result in reduced lubricant, labor and equipment-replacement costs. Available in NLGI #1 and NLGI #2. AMSOIL Synthetic Polymeric Truck, Chassis and Equipment Grease (NLGI #1 and NLGI #2) delivers excellent wear protection and extreme-pressure performance over extended service intervals in medium- and heavy-duty applications. It combines select base oils, proprietary synthetic polymeric chemistry, an advanced additive package and a lithium-complex thickener for excellent impact resistance, reliable contaminant control and maximum longevity. 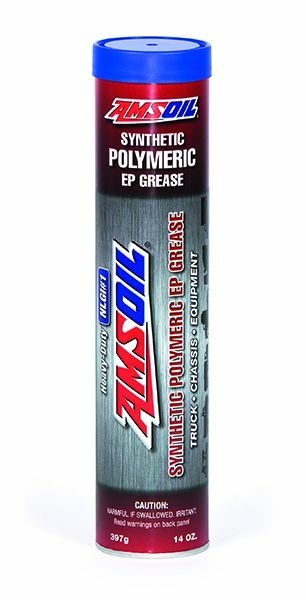 AMSOIL Truck, Chassis and Equipment Grease clings tenaciously to metal surfaces, helping to keep rain, snow and other corrosive contaminants from penetrating greasable components. It is formulated with an advanced additive package designed to combat the harmful effects of roadway contaminants, helping components last longer and saving fleets money. AMSOIL Synthetic Polymeric Truck, Chassis and Equipment Grease is recommended for heavy-duty over-the-road tractors and trailers, delivery fleets, dump trucks, refuse haulers, utility fleets, emergency service vehicles, sewer and septic trucks, snow removal vehicles, wreckers, municipal service vehicles, equipment haulers, cement mixer trucks, airport support vehicles and more. In addition, its long service life reduces the need for frequent re-application (or requires less grease at each servicing), reducing maintenance costs. Reformulated with calcium sulfonate complex thickeners to provide even better protection and performance. The new thickener allows AMSOIL Synthetic Water Resistant Grease to provide improved extreme-pressure properties, corrosion resistance, oxidation resistance, high-temperature stability and water resistance at the same price as the previous formulations. 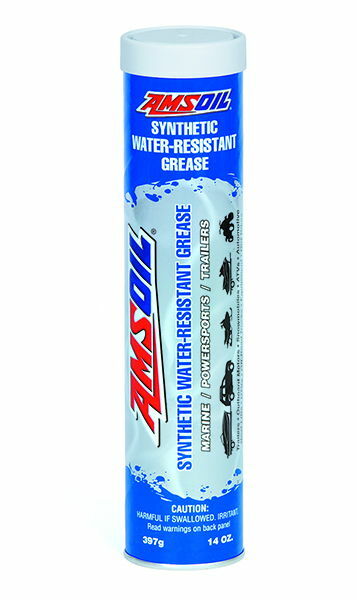 AMSOIL Synthetic Water Resistant Grease is an extreme-pressure grease formulated specially for wet-duty performance. Composed of premium-quality synthetic base oils and calcium sulfonate complex thickeners, AMSOIL Water Resistant Grease provides exceptional film strength, shear resistance, adhesion properties and mechanical stability. Its water washout and sprayoff resistance are outstanding for applications frequently exposed to water, mud, snow or ice, including ATVs, UTVs, snowmobiles and boat trailers. NLGI #2. 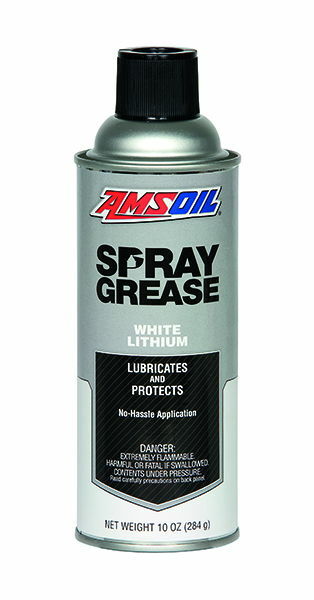 AMSOIL White Lithium Spray Grease effectively reduces friction and wear, keeping components running clean and trouble-free for outstanding performance and long life. It applies quickly and evenly and is ideal for greasing hard-to-reach equipment, including hinges, springs and other common applications. AMSOIL White Lithium Spray Grease protects against wear and corrosion, and adheres to metal surfaces for long-lasting performance. The premium fuel additive to thoroughly clean and restore peak performance in small engine and powersports equipment fuel systems. Degraded fuel presents a major maintenance issue in small engines and powersports equipment. AMSOIL Quickshot’s revolutionary technology focuses on three major fuel-related issues plaguing small engines and powersports equipment: ethanol, water and dirty pump gas. They can form varnish, gum and insoluble debris that clog carburetors, fuel injectors and fuel filters. Carbon buildup can form on the tops of pistons that leads to pre-ignition, rough idling and poor throttle response. Fuel-related problems are only expected to intensify in the coming years as the ethanol content in pump gasoline continues to increase. AMSOIL Quickshot also stabilizes fuel between uses and during short-term storage periods. AMSOIL Motorcycle Octane Boost increases octane up to 3 Research Octane Numbers (RON) for power and efficiency. It is designed to improve startup performance and eliminate engine ping and knock for increased power at low-rpm operation. AMSOIL Motorcycle Octane Boost contains detergents that help combustion chambers and fuel delivery systems maintain cleanliness for optimum performance. At the recommended treat rate, it does not harm catalytic converters or oxygen sensors and is compatible with all other AMSOIL fuel additives. One 4 oz. bottle treats 4 to 6 gallons of gasoline. Maximizes power and improves performance in all two-cycle and four-cycle gasoline engines. Reduces engine knock, improves ignition and engine response, helps fuel burn cleaner and inhibits corrosion. Recommended for off-road and racing use. Excellent as a lead substitute at same treat rates in collector automobiles, older off-road equipment and pleasure vehicles. Usual treat rate is one 12oz. bottle to 15 gallons of gasoline. Fights fuel deterioration! 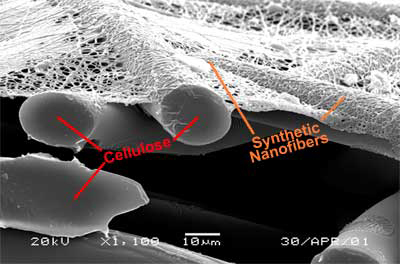 Gasoline is not formulated for long-term storage and can start to degrade in as little as 60 days, leading to varnish and sludge deposits that clog injectors, fuel lines and carburetors, stick floats and cause poor engine performance, starting problems, increased maintenance expenses and decreased equipment life. AMSOIL Gasoline Stabilizer is suitable for gasoline or diesel fuel, and keeps fuel from deteriorating during storage allowing easier start-ups. It resists the formation of varnish and gum in fuel systems and storage tanks. Ideal for all two- and four-cycle engines, including motorcycles, snowmobiles, boats, ATVs, edgers, tillers, mowers, cars, trucks, snow blowers, chain saws, generators, farm and construction equipment. Mixes 1 oz. to 2.5 gallons of fuel. AMSOIL Metal Protector is a synthetic, greaseless all-purpose lubricant that provides metal surfaces with a long-lasting film. It is versatile by being effective in applications as diverse as hardware, household appliances, sporting goods and electrical equipment. AMSOIL Metal Protector’s penetrating agents cut through rust and corrosion to allow free movement of parts. AMSOIL MP is the product of choice for drying electrical and ignition systems and protecting electrical equipment from freshwater and saltwater damage. AMSOIL MP Metal Protector is also the product of choice for protecting firearms and other fine componentry. It contains no silicone. AMSOIL MP is compatible with plastic, leather, fabric, fishing line and paint. AMSOIL Heavy Duty Metal Protector has been reformulated to provide improved performance as a corrosion inhibitor. MPHD is an easy to use spray-on product that effectively protects metal surfaces that are exposed to the damaging effects of salt, moisture or chemical corrosion. While still providing some lubricating properties, its primary focus is corrosion protection. It is the product of choice for metal surfaces that are exposed to the damaging effects of salt, moisture or chemical corrosion. AMSOIL Heavy Duty Metal Protector is also excellent for undercoating car doors, wheelwells, rocker panels seams and other metal surfaces exposed to water, dirt or road salt. Lowers engine temperatures up to 19º! 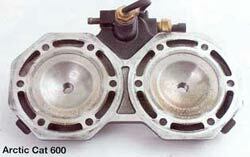 Racers demand lower engine operating temperatures in order to achieve maximum efficiency and horsepower on the track. AMSOIL Dominator Coolant Boost provides racers and motorists with significantly lower engine operating temperatures, quicker engine warm-up times and advanced corrosion protection. 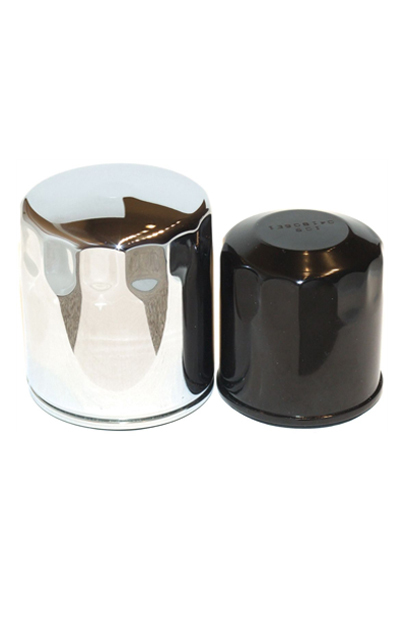 Minimizes or eliminates aluminum and metal corrosion while lowering operating temperatures. AMSOIL Dominator Coolant Boost is recommended for both racing applications using straight water coolant and automotive applications using 50/50 coolant/water mixtures. A very effective Carburetor and Induction System Cleaner for Two – and Four-Stroke Gasoline Engines. AMSOIL Power Foam® improves engine performance by removing gum, varnish and carbon deposits that affect power, operation, idle and fuel economy. Power Foam cleans intake valves, intake manifolds and throttle plates to keep the combustion intake system running at peak efficiency. AMSOIL Power Foam helps reduce engine ping and keeps carburetors and injector systems operating like new. Power Foam is safe for fuel injectors, catalytic converters and emission control devices. It will not damage seals, gaskets, rubber or plastic materials commonly used in gasoline engines. Fast-Acting Equipment and Surface Degreaser. AMSOIL Heavy-Duty Degreaser is formulated with powerful and fast-acting solvents, attacking petroleum-based grime on a molecular level to loosen its hold on metal, concrete, engines and other surfaces. Its active citrus formula makes cleaning easy and leaves a clean scent. Low-VOC formula and non-foaming. Two- and four-stroke recreational vehicles, hand held power equipment, small engines, construction and farm equipment are commonly operated seasonally or infrequently, then stored for long periods of time. During these periods of inactivity, and as a result of fluctuations in ambient temperatures, water vapor can form condensate within the engine. Long periods of storage can also dry out cylinders, often resulting in permanent damage when the equipment is taken out of storage and dry started. AMSOIL Engine Fogging Oil offers superior film retention, providing long-term protection against corrosion and dry starts, extending engine life and reducing operating expenses. Its aerosol spray formulation offers easy and clean applications, while reaching more components and offering better distribution than straight motor oil. AMSOIL Fogging Oil protects all equipment during the off-season so it runs when you need it! This unique dry car wash and polish delivers outstanding performance and quick, easy and economical spray application. No water required! Incredibly easy to use: simply spray on, use a clean terry cloth towel to spread Miracle Wash and wipe clean with a second terry cloth towel. It’s simply the fastest way to clean your vehicle. Specially formulated surfactants lift dirt and other particles from the surface of your car and hold them in suspension. Miracle Wash then acts as a shield, protecting the surface from abrasion while you wipe the dirt clean. Repels dust and light dirt particles and protects against the sun’s ultraviolet rays. Great for most nonpourous surfaces like countertops and musical instruments, too!